2019 is here and I’m very excited about what possibilities the new year will bring. We are in a highly transformative era and what in general is called the 4th Industrial Revolution. Changes will take time, but they are going to occur at a more rapid pace than before. In this blog post, I have summarised what I view are 7 global logistics trends we can expect in the next few years. The impact and potential impact on mother earth from the way we work, live and play as humans will receive higher awareness, unity and attention across the globe. From being something that to a degree has been on a piece of paper, companies will have to walk the talk and show focus and progress. The transportation industry is a big part of greenhouse gas contributions. Having a sustainable agenda and bringing insight and solutions to assist customers in lowering their ecological footprint will move from a “selling point” to a must in order to remain relevant. The increasing sustainability focus will drive development on contributing areas such as emerging technologies, alternative fuels, alternative supply chains via increased 3D printing, and cradle-to-cradle thinking in product development. Automation, robotization, and AI (artificial intelligence) are rapidly emerging technologies that are receiving more traction and use cases. Everything that we can automate and digitalize will become automated and digitalized. Robotics is a huge part of this trend with a large focus on machine learning. Robots are becoming more intelligent not only in terms of pattern recognition and performing tasks but also in learning from data, making decisions, and adapting independently. The latter part around machine learning is very fascinating and enables people and machines to cooperate from traditionally more coexisting. The intelligence aspect of machine learning is an important tool for the transport industry as it heavily relies on predictability and efficient logistics flows. 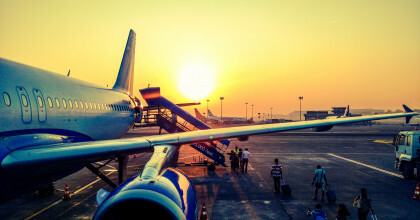 There is no doubt that the growth of automation, robotization, and AI will have a dramatic influence on the transport industry and change the very nature of freight forwarding. 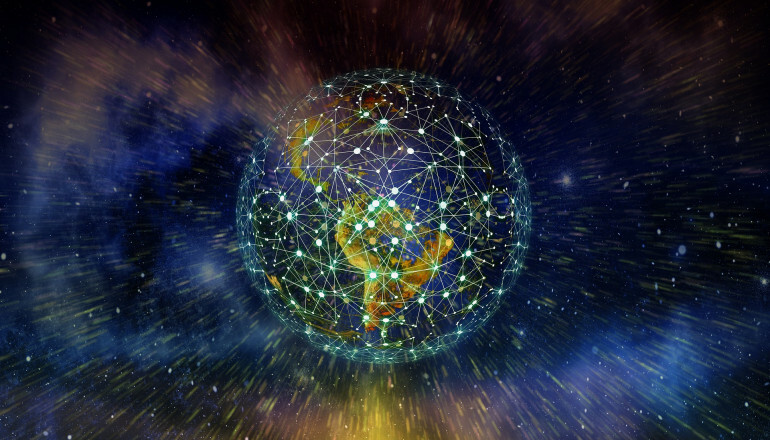 Internet of things is a major trend that allows for communication between devices that are connected to each other through small sensors of various kinds. In essence, everything that can be connected and would have a value of being connected will be connected. The sensors will collect, store, and exchange data, and make intelligent conclusions to act upon – without human interaction. Today, we see connected road vehicles, pallets and shipping containers among other things across the globe using data to adapt vehicle parameters to different routes and increase uptime of entire fleets. Internet of Things will become a crucial tool for freight forwarders to better control logistics flows, discover possible issues at an early stage, and solve problems. It is a key enabler for improving the entire logistics chains precision, predictability and transparency. But as well assist in supply planning and combating emission levels. Electro-mobility and finding innovative and eco-friendly energy sources is another strong trend. The development of electric vehicles and powertrain systems will rapidly develop as we are moving away from oil-driven fuel and towards battery-driven fuel. As new regulations are entering into force in 2020 we can also expect to see an increase in the use of eco-friendly fuel for maritime transports. Electro-mobility will largely contribute to reducing the environmental carbon footprint in the transport industry as well as helping freight forwarders guide customers in making smart and sustainable decisions for their supply chains. Blockchain technology where information is held on a blockchain and exists as a shared digital database is the next big trend. By storing blocks of information that are identical across its network, the blockchain cannot be controlled by a single entity and has no single point of failure. The information is public, accessible to anyone online, and easily verifiable. This new technology will revolutionise logistics with increased transparency for freight forwarders, minimized information disruption between multiple actors, and eliminated intermediaries resulting in simplified and highly reliable supply chains. In 2030, about 60 percent of the world population is expected to live in cities. This leaves us with a number of challenges. As the population shifts from rural to urban residency, the consumption in cities will increase – as will the logistics flow in and out of cities. We will see an increased focus on how to efficiently manage urban freight distribution, congestion, and noise as well as environmental issues such as emissions and air pollution. Self-driving vehicles will also contribute to turning around city logistics and new transport alternatives such as drones will be used to meet increasing e-commerce. Development and maturity of 3D printing will open up for goods to be produced much closer to the consumer. With, automation, robotization, and AI on the move companies will need different competence profiles compared to what they previously have been used to. Jobs are going from less “follow instruction and execute” to much more “collaborative and cognitive” in its essence. Analytics and technology savviness will become a key trait. In the past, knowledge of facts was a strength. It still is, but going forward, finding facts are a flip of the button away. Employees need to be increasingly savvy with interpreting, analyzing, and conceptualizing information and collaborate around it. This requires employees with highly agile capabilities and who have a mindset of curiosity and constant learning. This puts significant new demands on the type of leadership and maturity. 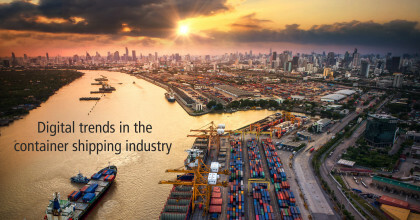 To remain relevant in an environment with much more enlightened customers, freight forwarding companies will have to go beyond the, in this industry, traditionally relation-based sales to much more insight and innovation-driven sales. We all need to truly become a partner in improving customers’ logistics and supply chain solutions to earn our space. What brought us here is not what will keep us here. 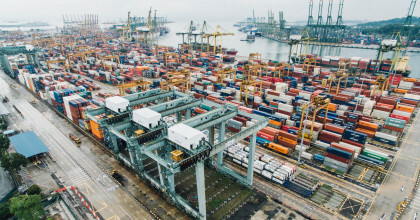 I hope you found this blog post helpful and that it gave you some insight into the current global logistics trends and what to expect in the future. Please, let me know what you think and feel free to continue the discussion in the comments! Find more inspiring blog articles on the Greencarrier Blog. Very interesting article. I read it all. This shows the trend in the most developed countries in the world, but we should also remember the less developed countries such as most countries in Africa or Syria for example. They will develop slower than others. One thing is vital to the conclusion of this article. To mention solutions are very expensive now and to fully introduce all these improvements could take 10 or maybe even 20 years. Generally, the article is very good. Good blog about transport and logistics forming in technology with the concept of IOT (internet of things). The transportation industry is also a big part of greenhouse gas contributions. Thank you, Rosalie, for your comment. We’re glad you like our blog post. Yes, you are absolutely right, the transport industry is a great contributor to greenhouse gas emissions, which is why providing the market with sustainable logistics is our top priority.